After quite a few journeys under my blogging belt, I have gotten accustomed to scribbling down notes when we travel now to help me compile these destination guides! It’s sort of like my own little scavenger hunt when we visit a new city; I love finding special spots that I can report back on. We lucked out on this trip in so many ways – the flights were easy (we got a great deal on Norwegian Air), we managed the jet lag well, and we had amazing weather. Locals kept telling us that it was rare to have that much sunshine and warmth the first days of May, and the timing had been perfect to see so many of the spring flowers in bloom. 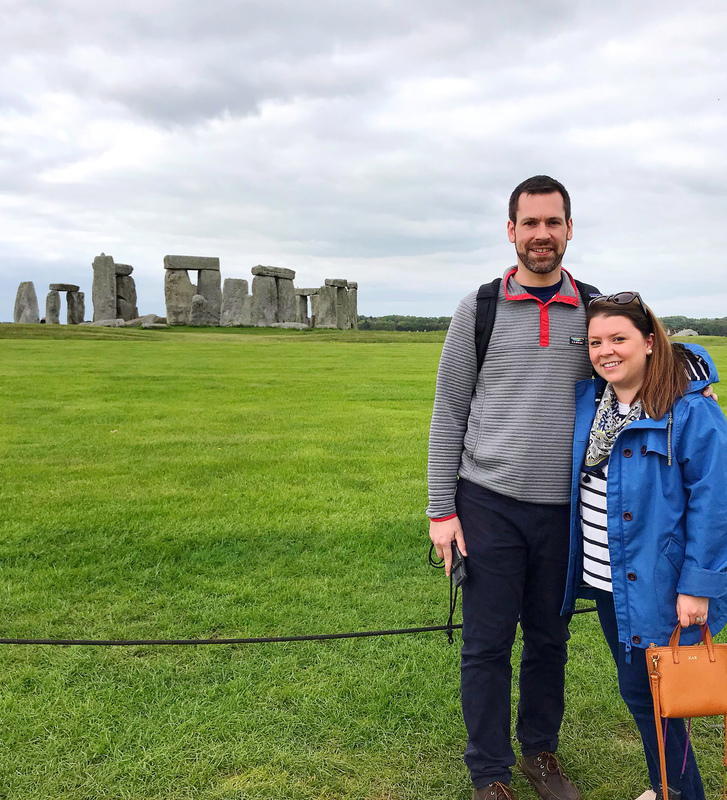 The trip gave me a fresh case of the travel bug, and as I write this recap of our week in London, I’m already scheming our next adventure! Stay. I found the hotel research process for London overwhelming, there were so many options! We landed on staying at small bed and breakfast style spot called The Orange Public House and Hotel in the Pimlico neighborhood. 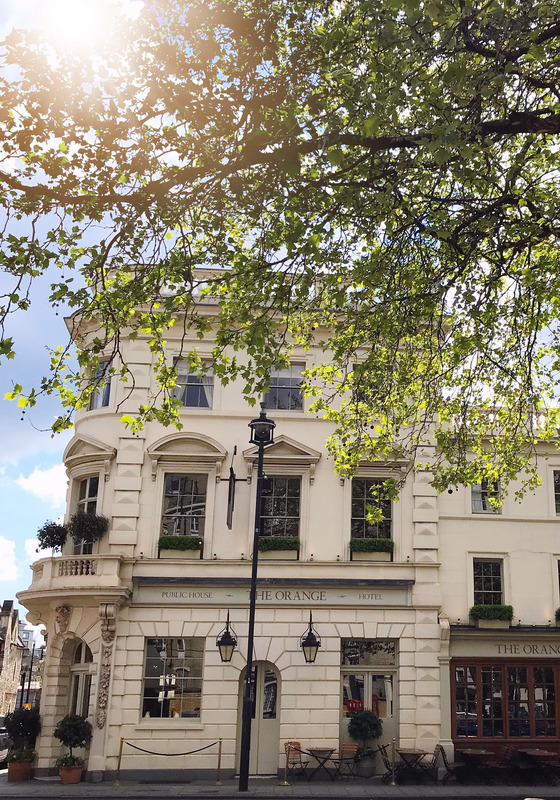 It ended up being an awesome location – just a few minute walk to Victoria Station, and nearby Elizabeth Street’s picturesque spots like Peggy Porchschen Cakes, Les Senteurs, and other amazing floral displays in the Belgravia neighborhood. It was also just a brief walk up to Buckingham palace for some of the more touristy attractions, and really close to Sloane Square for eating and shopping. 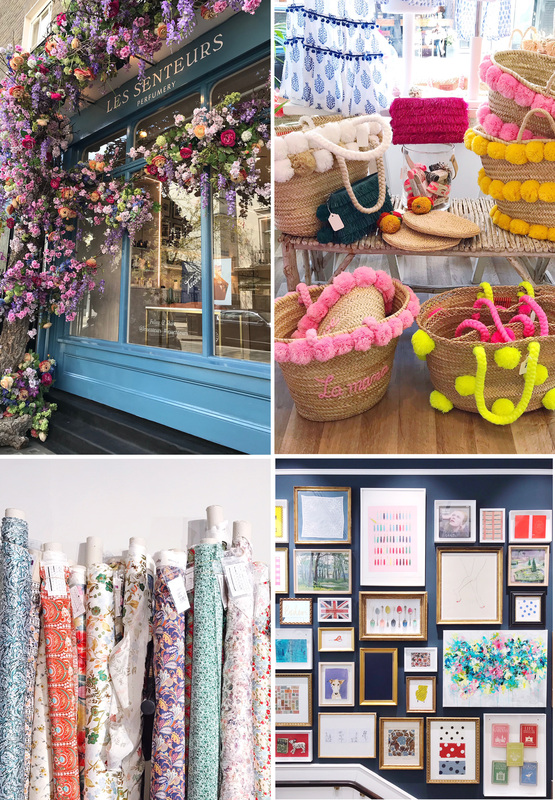 Right in the Pimlico neighborhood we enjoyed a few local cafes and bars, and across the street from the hotel was the most beautiful floral shop that begged for Instagram snaps! See. 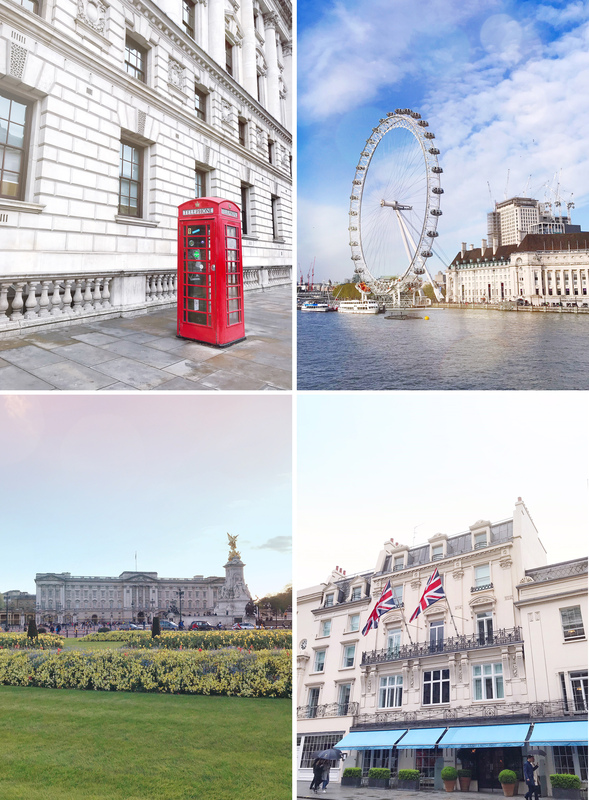 I had a long list of museums that I wanted to visit while we were in London, but we ended up scrapping the plans for seeing most of them because the weather was so beautiful that we opted for time outside exploring instead. The one museum that was recommended to us that we did visit was the Churchill War Rooms. It was a really interesting museum (especially since we have recently been watching a ton of movies on this time period!). There was a long wait to get in, but if you buy your tickets in advance you can pick a specific time to enter the war rooms and skip the wait. I used my favorite travel planning hack and made my own Google map for the trip, and guided us on a short walking tour of some of the big touristy landmarks one day and took in the London Eye, Westminster Bridge and Westminster Abbey, Big Ben (which was all covered up in scaffolding, such a bummer! ), Buckingham Palace (and the surrounding park full of spring flowers! ), and up through Trafalgar Square and Piccadilly Circus. We also spent one morning walking around Notting Hill, and strolling up Portobello Road. 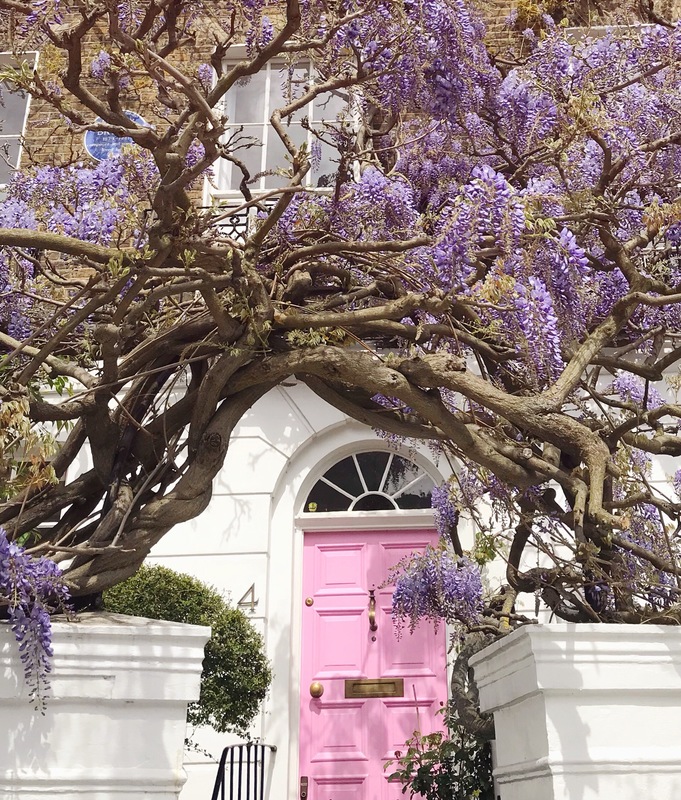 The wisteria plants were flowering and it was like an Easter egg hunt trying to find the best doorways covered in the beautiful purple blooms. I’ve heard amazing things about so many of the London food markets but they tend to happen on the weekends. We were in London on weekdays, so we only got to visit a small one nearby as we killed some time on Saturday before our journey back to the airport. We strolled around the market outside Patridges near Sloane Square and it was so inspiring to see all of the different vendors and cuisines. And bonus: they served oysters and champagne! Please take note US-based farmer’s markets, we could really use more champagne and oyster bars while we shop for fresh produce. Eat. I think we can all agree that the best part of traveling is getting to eat your way through a new city, right? We started each day with a delicious breakfast right in our hotel – they have a full restaurant and we got to try lots of the morning treats off their menu. Two of the best meals we had in London were at Indian food restaurants. We visited Chutney Mary with two of our friends that live nearby and the dinner was unbelievably delicious. Locals always know best, and we let them order all of their favorites off the menu so we could try a bit of everything. I’m still dreaming about it. The place that we received the most recommendations for was Dishoom – which served Bombay style street food and totally lived up to the hype! We were warned though that there can be long waits to get a table since they don’t take reservations, so we planned a late afternoon lunch to try out their menu and we ended up walking right in without a wait. Perhaps the most anticipated meal of the trip was our afternoon tea at Sketch. 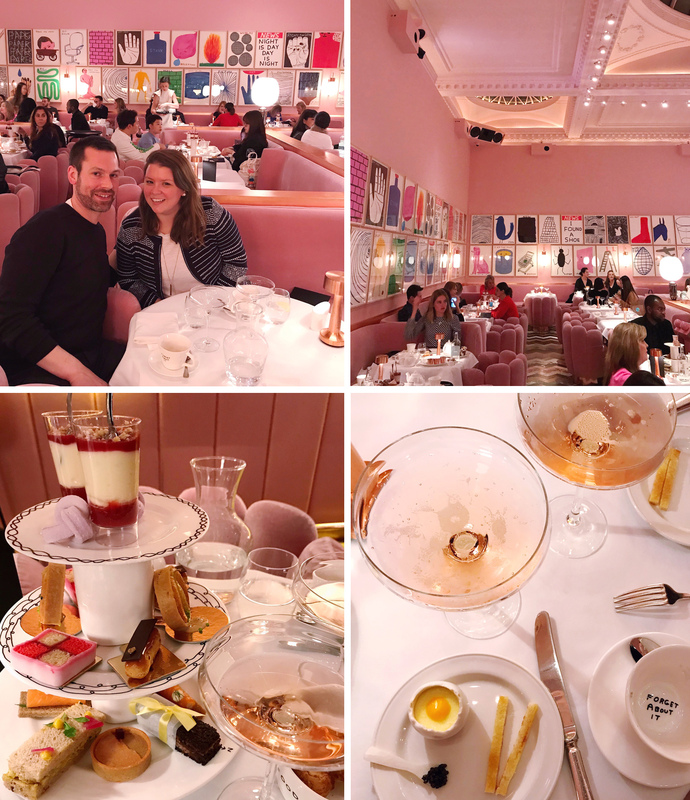 I have seen this quirky, millennial pink saturated restaurant on Instagram dozens of times leading up to our tea here, and was so excited to see it for myself in person. When we walked in, I was awed by the décor, but not sure what to expect for the actual meal. I was thoroughly surprised by how delicious everything on the menu was, and how very full we left at the end! We had champagne, tea, pastries, tea sandwiches, caviar, warm scones, and finished it all off with an amazing cake. It’s been a long time since I’ve had the chance to sit in a restaurant with such a unique dining experience; I left feeling totally inspired. Shop. I planned to keep my souvenir purchases to a minimum on this trip since we were traveling with just carry-on baggage, but I was determined to find the cutest British kids clothes to bring home some pieces for Jane! 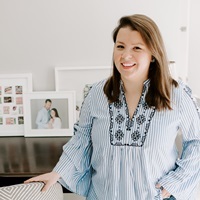 I adored the clothes at Trotters in Sloane Square and the sweetest dresses and summer tunics there; I was also alerted by a reader to check out the kids clothes at John Lewis – they were a steal and had a Boden-esque style to them. Speaking of Boden, I was so excited to get to see their shop in person, and I also visited Cath Kidson for some more quirky British pieces. Right near out hotel was a darling shop called Seraphina London with a bright, colorful, tropical getaway-inspired vibe. The shopping highlights of the trip were the beautiful department stores. I was beyond elated to get to walk up and down the hallway at Liberty of London, admiring the bolts of sweet floral print fabrics (my one treat I purchased on the trip for myself was from here – some Liberty print scarves!). And we explored Fortnum and Mason one morning on the hunt for tea and other delectable treats – the window displays here were pieces of art! Explore. On our last day of the trip we did something totally outside my traveling comfort zone, but it ended up being one of the best experiences during the whole vacation: we took a bus tour! This was not an old-lady-coach-bus-monotonous-tour-guide type of group tour though; it was in fact, quite the opposite! I really wanted to see some of England outside of London proper, but we weren’t up for renting a car and decided on a last-minute whim to book tickets on The English Bus. 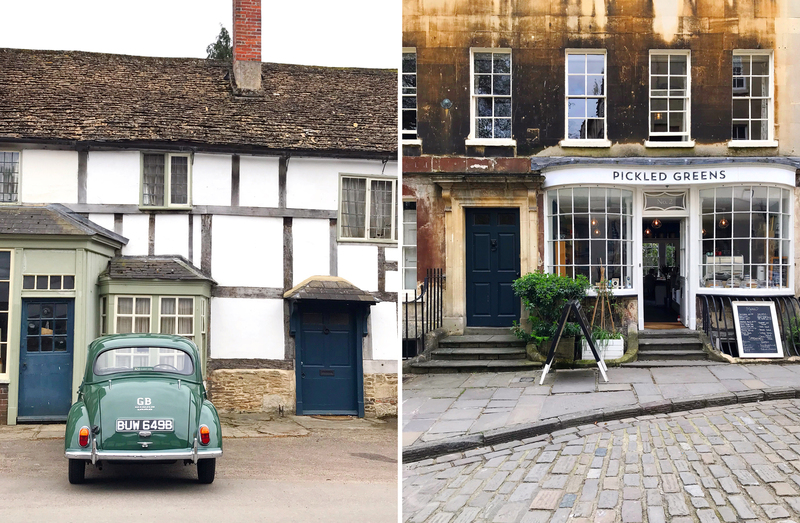 It was a tiny group tour — just 10 people plus our tour guide — that took us to explore Bath, Stonehenge, and some quaint English countryside along the way. It exceeded my expectations at every level. Our guide was awesome — a guy you’d want to grab a beer – and very well informed about all of the sites we visited. At each stop there was plenty of time for us to break off from the group and explore on our own, which was really the best part of this casual tour setting. I was totally in awe of Stonehenge and am so glad we got to see it in person. 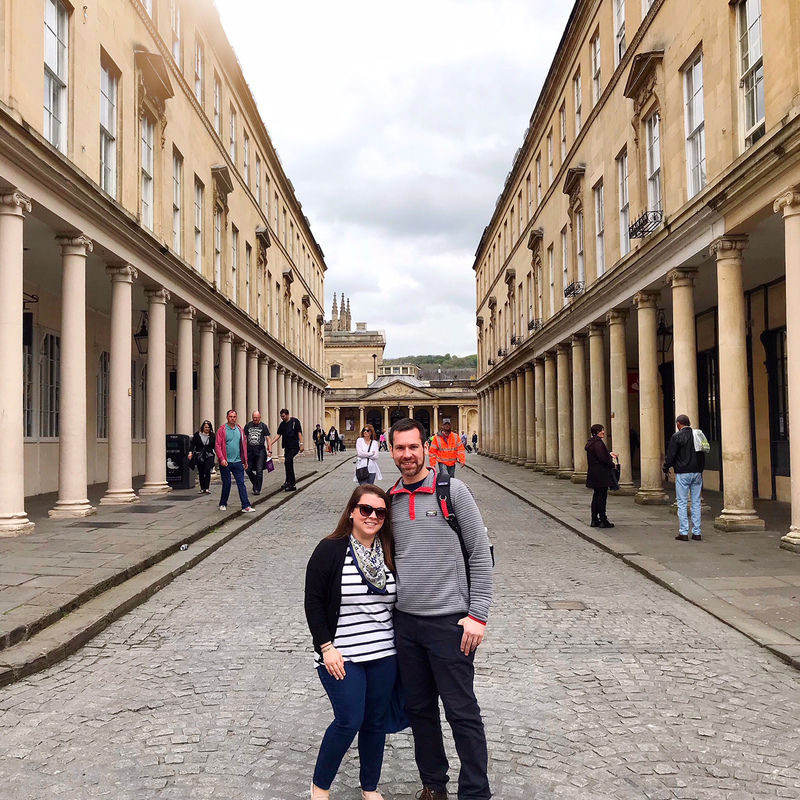 We did a walking tour of Bath and the Roman style Baths located there, and got to try some delicious traditional pasties at The Cornish Bakery in Bath. The best part were some secret excursions in the countryside on the way to those destinations though! I really would love to go back and explore more of the country having gotten just this little taste. PS: I linked some of my favorite items that I packed for this trip below! The Download – 05.08.18 A Personalized Piece. The timing of this post is SO perfect! We’re going to London next month and I can’t wait to visit some of these recommendations. Thank you, Kate! Omg so fun! You’ll have the best time! I’ve been dying to go to London so I loved following along on your trip! 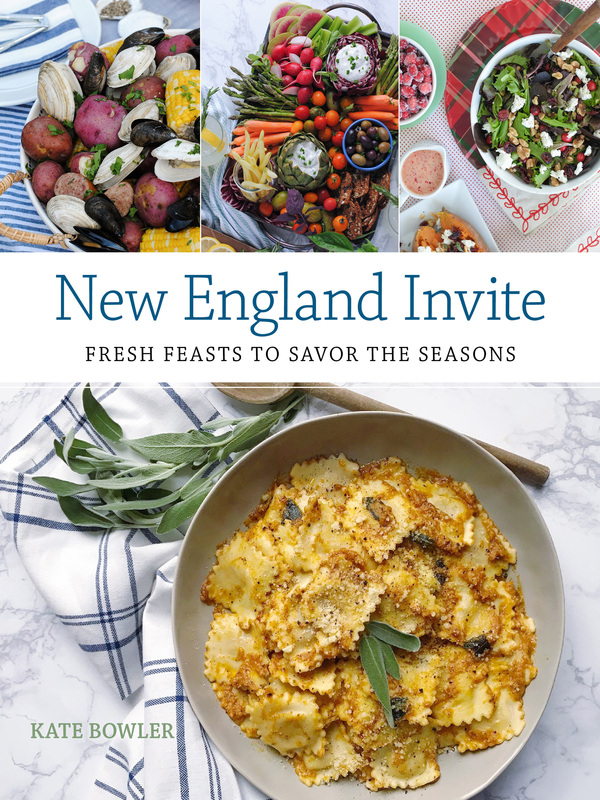 Your recommendations look fabulous and it is so nice you had gorgeous spring weather while there! The bus trip looks perfect too- what a great way to see a bit of the countryside during your visit!